Globes are polycarbonate, 18 inches in diameter they have a 7.5 inch outside diameter solid flange. 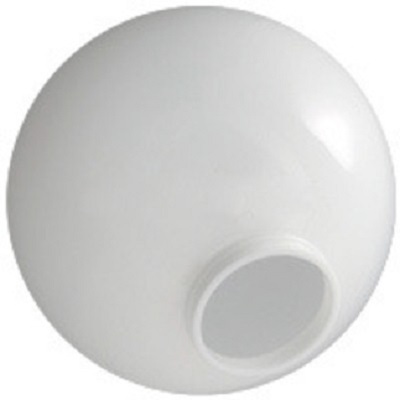 Globes are polycarbonate, 18 inches in diameter, neck height is .5 of an inch and has a 7.5 inch outside diameter solid flange, inside opening is 6.5 inches. These globes are injection blow molded, water and shatter resistant with UV inhibitors to prevent yellowing. Exactly what we needed for some old fixtures. Had an initial question about heat ratings which was promptly answered. Order was promptly delivered. Would definitely order here again.